Ever since the iPad came out, tablets have given all the gadget freaks one more reason to be excited about. Though the Apple’s ingenious device broke all the records, Google’s Android tablet computers are slowly catching up with them. Apple’s biggest fear is that Android might beat them at their own game, much like it did in the smartphone market. With the number of Android-based tablets that have come out this year, it appears as if their fears are coming true. Even though Android on tablets hasn’t taken off quite as well as Google expected them to, they’ve certainly proven themselves as a perfect alternative to the iPad. Moreover, the relatively lower price point, and the variety of choices offered makes Android an important player in the impending tablet wars. If you, like many Android fans, are stoked about tablets, we can help you choose the right one through our list of the best Android tablet computers of 2011. This list doesn’t include upcoming tablets, so if you find the perfect one for you through this list, you can quickly run to the store and buy one right away. Also, we’ve excluded low-cost tablets from the list, making this a list of the absolute best tablets that can perform as good as, or even better than the iPad 2. 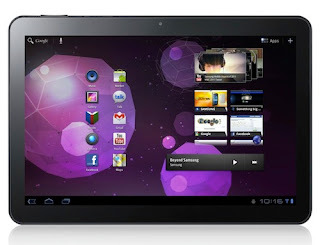 Motorola Xoom is the first tablet to be sold with Android 3.0 Honeycomb. 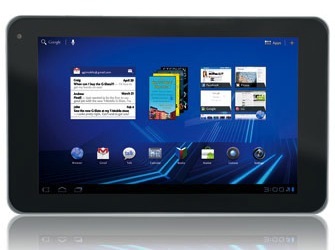 Unveiled at CES 2011, the Android tablet features a 5MP rear-facing camera and a 2MP front-facing camera for video chat. With a 1280x800 display, you can catch your favorite movies in high quality thanks to the 720p video playback. If you want to watch those movies on a bigger screen, Xoom comes with support for HDMI-out. With an Nvidia Tegra 2 Soc chip, Motorola Xoom sports a 1 GB DDR2 memory, 32GB external storage, 3-axis accelerometer and gyroscope, micro-USB support and more. Most of the new models come with Honeycomb 3.1 with micro-SD and Flash support. (Both of these features were unavailable in the first release). Deemed as “the best of CES” by CNET, Motorola Xoom is priced at $499 (Wi-Fi) and $799 (Wi-Fi + 3G). The successor to the highly popular Galaxy Tab, this tablet from Samsung has been in the news right from the start; sometimes for good reasons, and most of the times mired in controversy. The powerful and sleek tablet comes in two variants, one is the 10.1” model and other is the 8.9” one. Due to similarities in design, Samsung Galaxy Tab 10.1 is often called the tablet version of Samsung Galaxy 2. Temporarily banned in most of EU for ‘blatantly copying’ the iPad, Galaxy Tab 10.1 comes with a quite amazing set of features. It is loaded with an 8-megapixel camera (front-facing), 1280x800 display, 1GB Memory, 1GHz Dual-core Tegra 2 processor and Android Honeycomb 3.1. The feature set is so impressive that it can pass off as a good replacement for the standard desktop in many cases. Apple however, wasn’t quite impressed by it; they were pretty pissed off to see the Touch Wiz UI looking exactly like their iOS. Since then, the tablet has been in a lot of trouble in many countries but its popularity continues to rise. Galaxy Tab 10.1 is marketed differently in some countries; for example, in India, it is sold as Samsung Galaxy Tab 750 with some slight modifications. If you’re a German and are looking to get your hands on this beast of a gadget, you’re out of luck. Thanks to Apple’s lawsuit, Samsung Galaxy Tab 10.1 isn’t available in Germany. Unveiled in March 2011, the G-Slate is a sleek new tablet running Android Honeycomb. It comes packed with some interesting features and some rather unique ones for a tablet. First of all, the 1GHz NVidia Tegra 2 processor makes it stand apart from other tablets. Then there are features like 5.0-megapixel camera, 1280x768 display and a nice HDMI port. What makes LG G-Slate stand apart is the fact that it can shoot HD videos, and yeah that too in 3D. 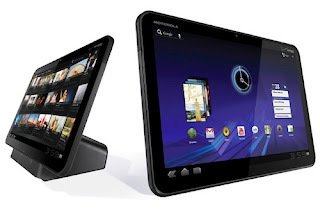 The G-Slate is one-of-a-kind tablet to support 3D video viewing as well as 3D video recording. Even though you still have to put your funky glasses on, the 3D capabilities might create a whole new market for this tablet. Although 3D recording is good, I personally think shooting with a tablet is a bit messy. Nevertheless, the G-Slate is a nice, high-performance tablet that will give you desktop-like performance with the goodness of Android. Is it a tablet? Is it a laptop? No, it’s the new Asus Eee Pad Transformer. 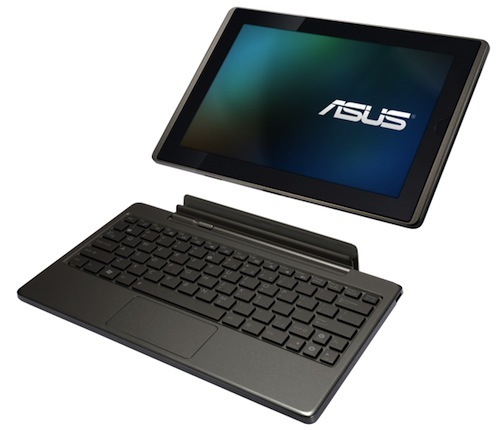 The Eee Pad is Asus’s new offering bringing a new twist to the tablet wars. Running Android 3.2, this new tablet device doubles up as a laptop by attaching itself to a keyboard dock. Though the keyboard dock is an optional feature, the tablet alone doesn’t look that bad. With 1GB RAM, 1GHz dual-core processor, and 5-megapixel camera, the Eee Pad Transformer does look impressive. The tablet when used without the dock can last for about 9 - 9.5 hours. With the dock however, the battery life can be extended to about 16 hours. The dock features a full-sized and nicely designed keyboard with a touch pad to turn the tablet into a fully functional laptop. Anyone tried the Andypad Pro yet? What is the general perception of the Airpad 7p and the Airpad X? The price is right on them, but I know that X10 doesn't have the greatest reputation.